Retiring Early: Is Early Retirement For The Dumb, Lazy, and Boring? Some people assume these people haven’t saved enough and are naively thinking their money will last forever. Some assume early retirees just want to stop working because they are lazy. Others think that early retirees just sit around all day and do nothing in order to save money. However, none of these common myths about early retirees are true! And, I just don’t understand these negative feelings about early retirement because I personally love the idea of people striving to retire early. Really, what could feel better than working hard to your save money, investing it well, and then realizing the financial freedom you have to quit your day job so you can live your dream life!? Whether you want to travel, continue working (yes, you can continue working your job! There's no rule that you have to quit), spend more time with family, or whatever else, retiring early gives you the ability to choose your own future. Plus, early retirement can be at whatever age you want it to be, it doesn't have to be that you retire early at age 30. If you are able to retire at age 60, that's awesome! The point is just to strive to better yourself so that you can be financially free and not stuck and miserable in debt, and/or living a paycheck to paycheck life. Sadly, there are many out there, who do not save enough money when preparing for retirement. According to one survey, 56% Of Americans Have Less Than $10,000 Saved For Retirement. According to a different survey done by Bankrate.com, 36% of people in the U.S. have absolutely nothing saved for retirement. Due to the above, I think it's obvious that more people should make saving for retirement a priority. And, even if you love your career, you can still think about early retirement. I have saved enough to retire whenever I would like. Yes, I earn a high income, but I also save a large part of my income and watch any wasteful spending. Now, don’t get me wrong, I absolutely love life and my online business. However, knowing that I can retire early means I am prepared for whatever might happen in the future. As you know, I’m a worrier, and I would much rather be safe than sorry. There are so many what ifs, like there could be a medical emergency, the industry may change, I may change, and so on. You just never know what may happen in the future! To me, having the ability to retire early is all about freedom and flexibility. Now, I'm not going to automatically assume that extreme early retirement is for everyone. Because, it's not. Not all early retirement paths have to be extreme – some can actually be quite normal. Many people can still live a normal life, without really cutting too much out. It's all about being realistic with your income and spending. The majority of the population does not seem ready for retirement at any age, let alone the retirement age of around 65-67, so to discount early retirees altogether just seems crazy to me. Whether you’re thinking about early retirement, still planning for a “normal” retirement age, or are just confused about what these early retirees are thinking, this post will, hopefully, debunk any myths you may have about early retirement. Are early retirees dumb, lazy, and/or boring? Are early retirees naively thinking that their money will last forever? This is one of the most common myths I hear about early retirees. Many like to assume that early retirees haven't thought about possible future expenses, such as from having children, health insurance costs rising, inflation, the stock market dipping/crashing, and more. However, planning for early retirement definitely takes all of these expenses into consideration. For most early retirees, it starts with creating a budget that allows them to really know their expenses and save for them well into the future. A person planning for early retirement is thinking about all of these what ifs well into the future. While no one's calculations are going to be correct down to the penny, it is possible to factor in possible future expenses. Still, many people don't believe that early retirement is possible. I have heard countless people say that retiring early is dumb because $1,000,000 – $5,000,000 isn't enough to retire young, that early retirees aren't thinking about future expenses, etc. I believe this has a lot to do with the fact that many people don't understand compound interest and investing. Both of these things let your money work and grow for you, well into the future, meaning that an early retirees' retirement funds are most likely going to grow well into the future. I have seen countless comments where a person just divides $1,000,000 by 50 years and assumes that the early retiree is living off of $20,000 a year and not a penny more for the rest of their life. However, that's not how investing and early retirement works. If you want to learn how investing works and how you can start saving for early retirement, read more at How To Start Investing. Honestly, early retirement is possible. 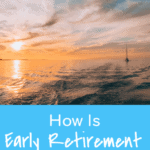 By saving enough of your money and living off a designated percentage of your savings or invested income each year after you retire early, you will find that early retirement is possible. Before throwing the whole idea out, you may want to look into how it may be possible for you. With just a 1% savings rate, it would take you 98.9 working years until you reach retirement. A 5% savings rate means that it would take you 66 working years to retire. A 20% savings rate means that it would take you 37 working years to retire. A 50% savings rate means that it would take you 17 working years to retire. A 75% savings rate means that it would take you 7 working years to retire. So, by saving more of your money, you are likely to retire sooner. Makes sense, right? Related content: Do You Know Your Net Worth? Are early retirees lazy and just not wanting to work? 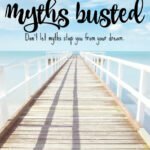 I’m going to be honest, this myth is absolutely crazy! If you are planning for early retirement, you definitely aren’t lazy. Like I said before, it takes a lot of planning and forethought to retire early. It’s not at all for the lazy! However, I have heard so many people say this about early retirees. And, I think it’s the exact opposite. If you are looking to retire early, you probably aren’t the type to just sit around all day. I mean, if that’s your plan for after you retire, that’s totally fine because you get to choose. But, for many, early retirement isn’t just about not working. It’s about having the freedom to spend your time pursuing your passion, traveling, spending more time with friends and family, and more. Still, I have heard so many times that early retirees are lazy and are just looking for a way to escape the work world and essentially be homeless, live in a shack, eat rice and beans, etc., instead of working. I believe early retirees are hard workers who want to live life on their own terms. After all, they had to save enough to retire early some way – and I'm sure it wasn't due to any laziness. Don't early retirees just sit around all day in order to save money? I have heard countless people say that early retirees are boring, lead meaningless lives, and probably just sit around all day doing nothing. Some of these same people justify not saving for retirement by saying that they'd rather work until they're 70. I don't know how much fun the average person has while working, but I'm fairly positive that the average person is probably not in love with their job. In fact, it is somewhat rare for a person to be absolutely in love with their job. Yet, I still hear this myth all the time. An early retiree isn't just going to sit around all day. Even if that's what they want to do, who cares?! Retiring early certainly doesn’t mean that you have to be bored. With all the extra time you have after retiring early, you could volunteer, pursue a passion, find fun things to do, take up a hobby, and more. Heck, you could even continue working, if that's what you truly desire. Early retirement just gives you choices in case something changes in the future. I know that for me, if I chose to stop working one day, I could easily find time to fill my day outside of work. I could travel even more, go on more long hikes, be more fit, read more, learn more (I've been wanting to learn a new language), find a passion project, spend more time with friends and family, etc. The list is endless! The average early retiree, that I know, has a very active and meaningful life. They don't need work in order to feel valued in the world; instead, they find other things to make themselves happy. Plus, just because you are saving for retirement doesn't mean you are eating ramen noodles for breakfast, lunch, and dinner. However, this is a myth that is often associated with early retirement. Sure, a person who seeks early retirement or who has already retired early may be frugal, but I highly doubt that the majority of early retirees live boring and uneventful lives. There are plenty of ways to have frugal fun, eat on a budget, and so on. You can even see the world, while saving for early retirement, too. We currently live in our RV, while traveling North America (yes, I know that's not the world), and we have met many early retirees who are doing the same. Remember, the best things in life are free. The outdoors, spending quality time with those you love, laughing, and more are all FREE. 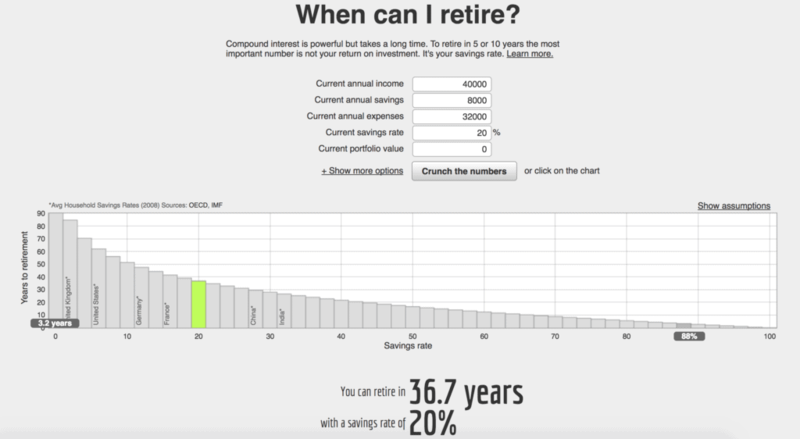 When do you want to retire and when WILL you retire? What do you think of early retirement? Well great post about early retirement. Retirees want options, and that’s why they save and try to early retire as early as possible. If you have options you can do what you want, when you want. I love this post! 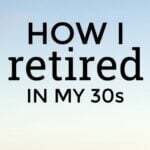 I’m in the military, but I’ve always been planning on ACTUALLY retiring at the 20 year point (2 years away), as opposed to going back to work the day after you retire, like 99% of military retirees do. I used to worry about what people thought when I would tell them i was actually retiring at 20, and not working a “normal” job again. I imagined people would think I was lazy (as you said), or unusually wealthy, or weird. Over the last few years, I’ve stopped caring what people think, and there is a lot of freedom in that. Anyway, early retirement means you don’t have to work, but I probably will. I hope to do something like you’ve done. Awesome blog! Yes, you just have to stop caring about what people think. Congrats on being just 2 years away! 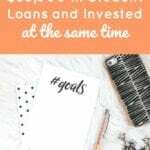 My hubby and I have been saving towards early retirement since we first learned the details! I am so happy to say that he was able to quit his job to pursue his passion even though it meant taking a 60% pay cut! We aren’t quite at the place where we never have to earn money again, but we have spent a few years saving lots and don’t need to add any money to our traditional retirement accounts. The flexibility saving to retire early opened up was life changing even before reaching that magic number! I feel like people who leave those comments either don’t understand or are jealous? I don’t know. I don’t get it. Maybe like you said they don’t understand how compounding and such works. I’d point them to things like the Trinity study but in addition to those naysayers being unlikely to read it, they’d likely bash it for some reason or another. At the end of the day early retirement is about living your best life. There are plenty of normal retired people who are lazy, selfish, and naively think that social security will get them by forever. I just don’t get it. In the end I’ll do what makes me happy even if it goes against the ‘norm’. That’s part of the reason I like the FI community so much, we’re all a bit quirky but everyone’s supportive and awesome. As for us, we aren’t shooting for extreme early retirement. I can work till 50 or so I think and be happy. One thing’s for sure. I’d much rather save money to have the option to retire at 50, and choose to work until 65, versus not having enough money saved at 65, and needing to work until 80. Hell yeah, I’m doing three years more, than I’m moving onto new adventures, and travelling the world like a nomad. A lot of those hateful comments have to do with jealousy. Honestly. The vitriol that comes out of the early retirement articles is so vicious. If people spent that energy on something positive they could be the wealthy ones! I’m going into a career I love where I plan on being self-employed, HOWEVER I’m still going to sock away half of my income. I need that security whether or not I love my job. Yo, I don’t plan on being poor as a senior. No thank you! It’s one thing to be poor as a mid-twenty something, quite another to be poor as an older person. SOME of the FIRE bloggers kinda depress me and I quit reading some of them because I just got tired of reading how much they hated their jobs. Yes, a lot is definitely jealousy. I always figured if I was physically able to that I would continue to hold down a “fun” part time job in retirement. I think early retirement might be a good choice for people looking to take their side hustle to the next level. 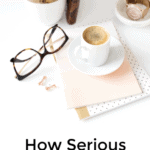 If you’re only making a few hundred or thousand dollars monthly in a retirement check just to sustain yourself, then that alone can be motivation to get out of that zone by working on your side hustle business. This way, you work slowly but surely toward building yourself up financially. I’m approaching my 40s and my hope is retire within the next 10-15 years. I’m currently walking toward that retirement road and hopefully I’ll be like you guys, driving around the country and checking out how wonderful the US(and Canada) really is with the scenic sites. Thanks for sharing these meaningful observation in our common life which is related early retirement for the crazy and boring. I agree your suggestions early retiring is a good choice to make an another step in our life and developing our happiness I appreciate your efforts to make these article. Michelle this article is so refreshing with a positive perspective on choosing an alternative to the social norm of working to 65 years old. 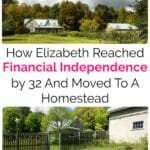 We decided to sell up the house and business to travel now at 50 and have also embarked on learning to create new revenue streams to supplement investments. Life is an adventure rather than an accumulation of stuff. Such a great article, Michelle! We hope to have a fairly early retirement as well. I find that the ones with less than kind things to say are just those that come from a place of insecurity because they don’t believe the option is attainable for themselves! What IF I do want to retire early because I’m lazy (read: tired of working)? Is there a solution for that?